We've added a new credit card comparison chart to our list of charts! This one ties in to the new category we added to our Top Travel Rewards Credit Card rankings last year and that is the Coalition Card category. What is a coalition card you may ask? A coalition program credit card earns points or miles directly into a single program that has lots of earning and redemption options. In Canada these are programs like Aeroplan, AIR MILES, More Rewards, and Scene (the latter will be added to the chart soon!) You can view the chart here. 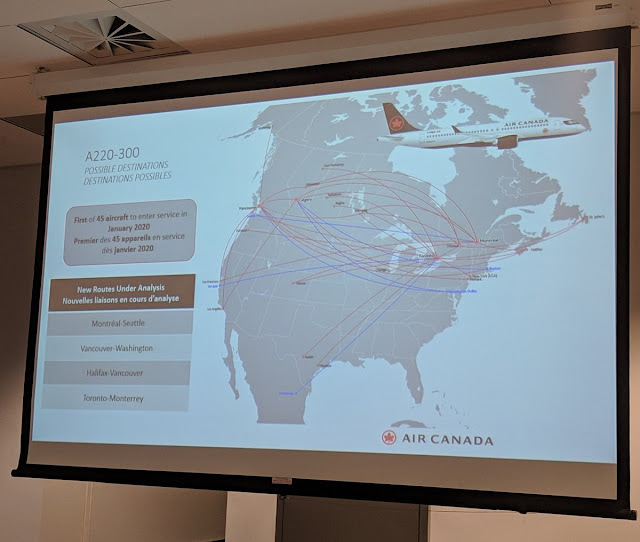 Air Canada revealed possible routes for their new Airbus A220-300 aircraft (Bombardier CS300) that will begin revenue service around this time next year! Granted a lot of times when these route possibilities are revealed, that's all they are, possibilities. Seeing that the aircraft will replace the E190 aircraft, they will first fly routes already being done so by the Embraer and older Airbus aircraft. Rewards Canada contributor Bill W. notes this for us. Cathay Pacific's New Year's sale sees them offering flights out of Vancouver to Southeast Asia for as little as $895 round trip. Book by Jan 31. Find out more here. Avis: Save up to 20% with their New Year Worldwide sale. Book by Jan 31 for rentals until Dec 15, 19. Find out more here. Hilton APAC Year End sale - Save up to 25% when you book by Feb 2 for stays until Sep 30, 2019!